Maybe you've just installed a dual boot system. It's all going well and good, but when you start the computer, Windows appears at the bottom of the boot menu. You might still want to use Windows as your primary operating system, and so pressing down a few times and Enter each boot time could get frustrating. You'd ideally like Windows at the top of the boot menu, and Linux second. In this quick tutorial, I'm going to show you how to use KGRUBEditor, a program for editing your boot menu settings, to re-order the menu so that Windows is first, and the default choice. (If you'd rather quickly edit the configuration file by hand, without installing new software, take a look at this alternative tutorial). First of all, we need to install KGRUBEditor. 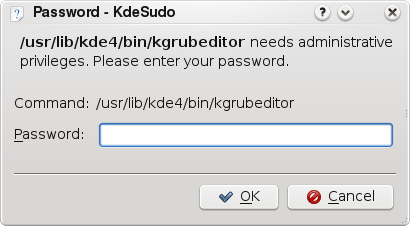 You'll probably find it in your package manager if you search for kgrubeditor (help on installing packages). Once it's installed, launch it, from the System category. You will be asked to give your (or root's) password to continue. A word of warning - through KGRUBEditor, you are editing important settings that tell your computer how to start up properly. Avoid changing settings you don't fully understand! Once you're in, you'll see something a bit like this (your entries might look slightly different). Each row in the top pane should correspond to one of the choices you see when the computer starts up. Click on the Windows row, so that it is selected. Now go to the menu and choose Actions > Move to Top. Once the Windows entry is at the top, you need to also set it as the 'default' entry, so it is the first choice to be selected (otherwise it will be at the top, but not selected). Right-click the entry for Windows, and choose Set as default. And that should be it. 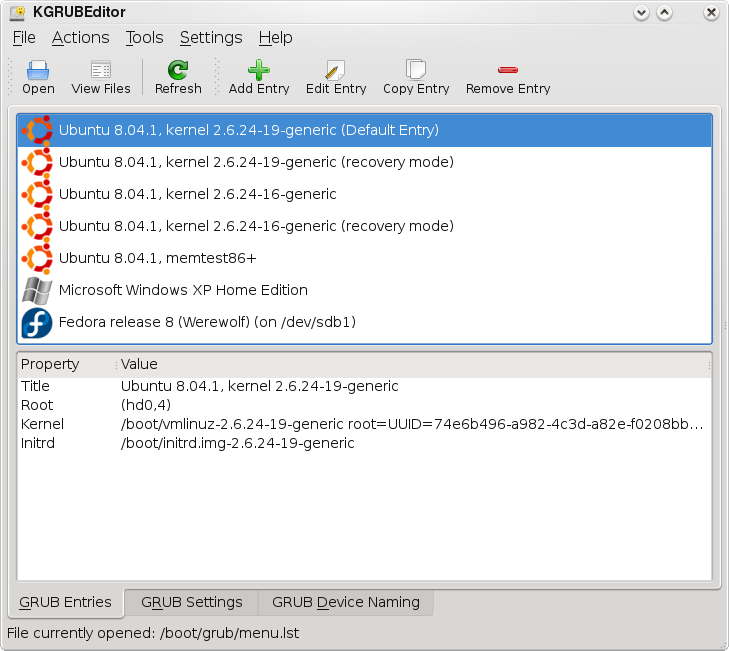 You can now close KGRUBEditor and reboot to find Windows your default choice. 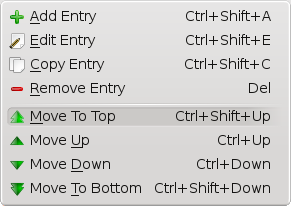 To boot Linux, you can just press down once to the first Linux entry and press Enter.